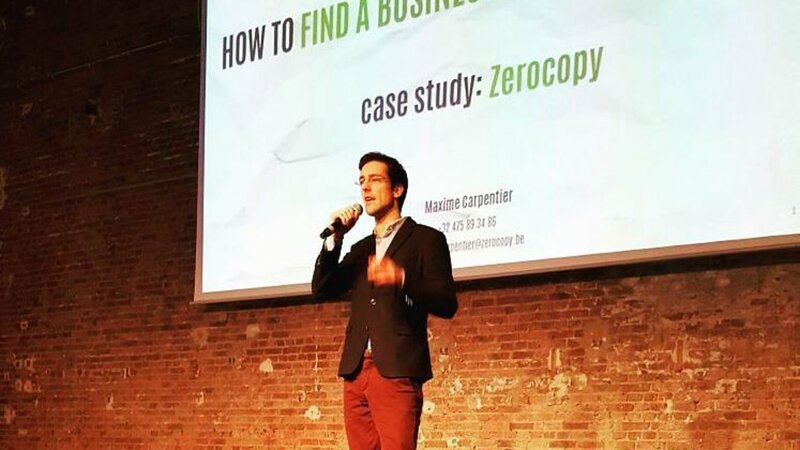 Today, an article appeared in De Tijd & L’Echo about the innovation that is Zerocopy, featuring our CEO Maxime Carpentier (the original article in Dutch or French ). We wanted to share its main points with you here. Enjoy and remember to subscribe to our blog for our weekly updates! Our young CEO (1988) discusses the ever-growing user base of students who are benefiting from the Robin-Hood-like system. Students print for free, while rich companies pay the bills to reach them where they spent most of their time: their courses! (You thought that would be Facebook or Instagram, didn’t you?). Far exceeding the 80,000 users currently and expecting to have reached twice that number before the end of the academic year, Zerocopy is now also building up its financial backing to keep up with the exponential growth of enthusiastic users. “Just this week, we have attracted 1,500 new users! … Of all these users, we are handling millions of printed documents and became the biggest printing medium to reach students in Belgium! Unfortunately however, many advertisers and marketing agencies do not realise that yet.” Carpentier added. As one of the three shareholders of Zerocopy (The other two being Klaus Lommatzsch and Marc Bresseel from the marketing consultancy Duval Union) he was approached by Jaime Cuyckens, an innovation expert of ING bank. He told him about the new concept of ING called Innovation Banking. “He (Jaime Cuyckens) got my name through Omar Mohout, an innovation, start-up and scale-up expert… He wanted to gain us as a client.” Carpentier explained. Carpentier, with an international ambition and a careful mindset, was happy with the arrangement. He received a 100.000 euro loan, another hundred thousand through a venture capital fund (with thanks to Cuyckens) and he invested that same amount himself as well, resulting in a 300.000 euro capital increase that will play a major role in developments like internationalisation, new products and expansion in general! Great things are happening at Zerocopy so stay tuned to never miss an update! Let us know what you think about our service!